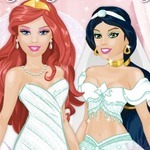 Each princess has a unique style and you need to choose the most suitable outfit for the princess in the Disney Princesses Car Model game at http://www.gogy2.xyz/. They will become the most beautiful models next to the new cars. First, players need to choose the most favorite car. Then you will choose the dress of the model. Combine colors and styles in a unique way to create stunning photos. Customers who buy cars will be impressed with the store's car if the photos show the beauty of the car. There are many different cars from modern to classic that you will hardly miss in this special game on our website. 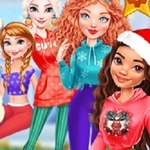 Players will participate in many games and relax in their free time with the fastest loading game speed without being bothered by any factor at Gogy2 girls game. We are constantly Bring the best of gaming to the world and you can't miss the game world when you join the latest games. 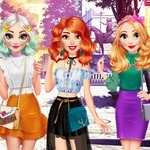 With this theme of beauty and especially this model game, you can collect other favorite games similar to this game in your spare time. A special journey with lots of interesting things awaits you. What are you waiting for without unlocking all the latest games with different themes and sharing with your friends if they also want to relax in their free time? 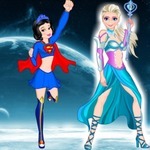 With the game world on our website, you will find new games similar to Garfield Dress Up and Baby Elsa School Haircuts. Each game is discovered and created by players all over the world. Enjoy the best thing in your free time.